After our recent trip to Disneyworld, I’ve been thinking about all our trips to Disney Parks. 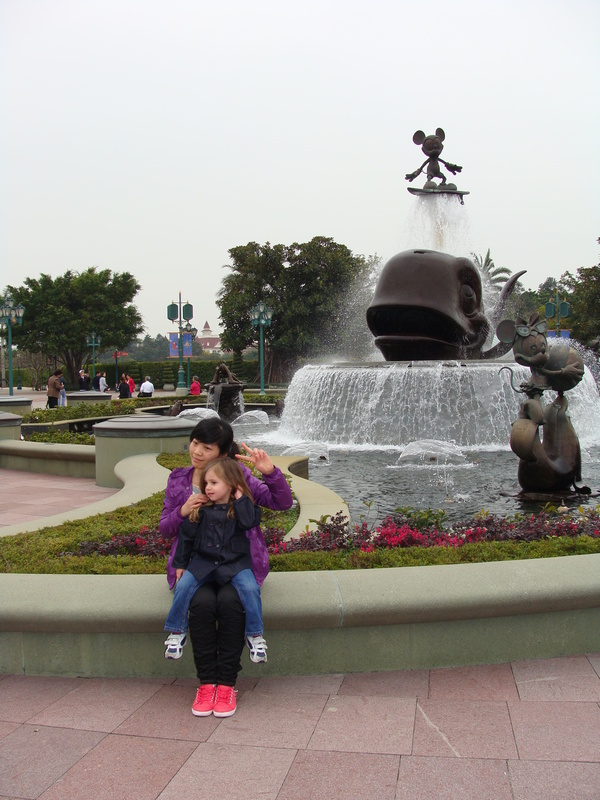 I fondly remember our trip to Disneyland in Hong Kong. It is a smaller park than the other Disney parks we’ve been to, although it has undergone an expansion since we were there in 2011. It is much less crowded than the other Disney parks. And, there is the added fun travel factor of hearing and seeing Chinese everywhere in the park. 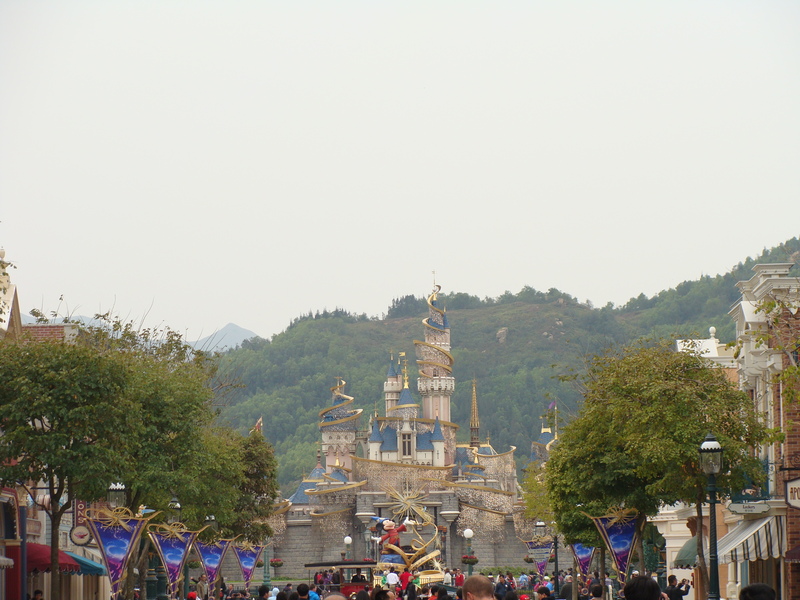 There is one thing that Disneyland Hong Kong does better than all the other Disney parks we’ve been to. The Jungle Cruise. Disneyland California has the classic version. Disneyworld in Florida has an upgraded version with an ancient temple you travel through in addition to the classic elements. Disneyworld Hong Kong has an awesome surprise ending. Do you want to know what it is? Watch a video of it here. Isn’t it an amazing end to the ride? We were not expecting it when we first rode the Jungle Cruise. You can feel the heat of the flames shooting out of the rock formations, and it is hot! The Jungle Cruise was our favorite thing in Hong Kong Disneyland. There were a couple of other great surprises in store for us, too. 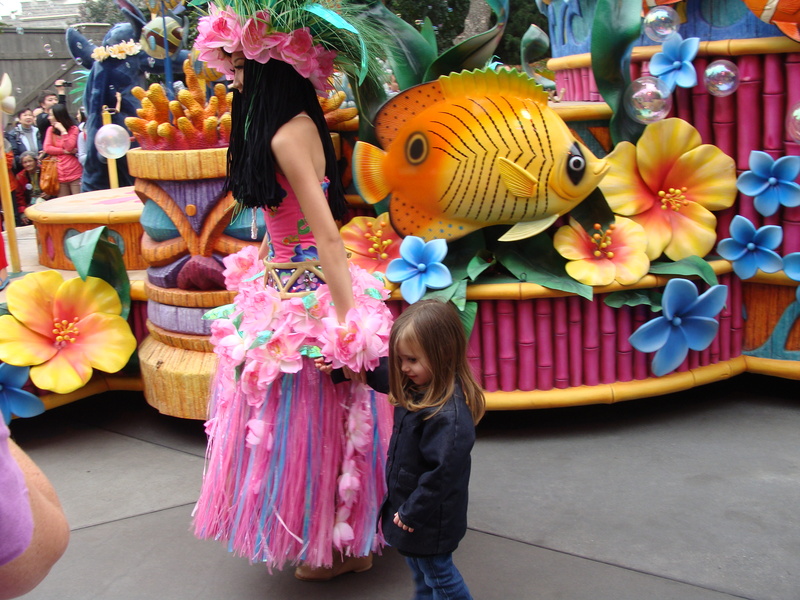 During the parades, they will actually invite some of the children to dance in the parade with some of the characters. Our oldest daughter was able to dance in the luau section of the parade. She was a little nervous at the time, but so happy she did it afterwards! Where else do you get a chance to dance in a Disney parade? I think we might have to go back and do it again when she is older so she will actually remember the experience, instead of just seeing it in pictures. Since Hong Kong itself is a great destination, I don’t think I’ll have a hard time convincing the rest of the family that we need to go back. In all the parts of Hong Kong we visited, people loved to take pictures with our kids, of our kids, sometimes they would just pick them up and hold them. This was especially true at Disneyland. Our youngest at the time had very blond hair. I remember waiting in the line for Winnie the Pooh, and people kept passing her down the line so they could all have turns to take pictures with her. A little unnerving, but thankfully everyone was really sweet to our children the entire time we were there. So, for an amazing Jungle Cruise experience, and a whole lot of other fun, take a day or two to visit Hong Kong Disneyland if you’re in the area. 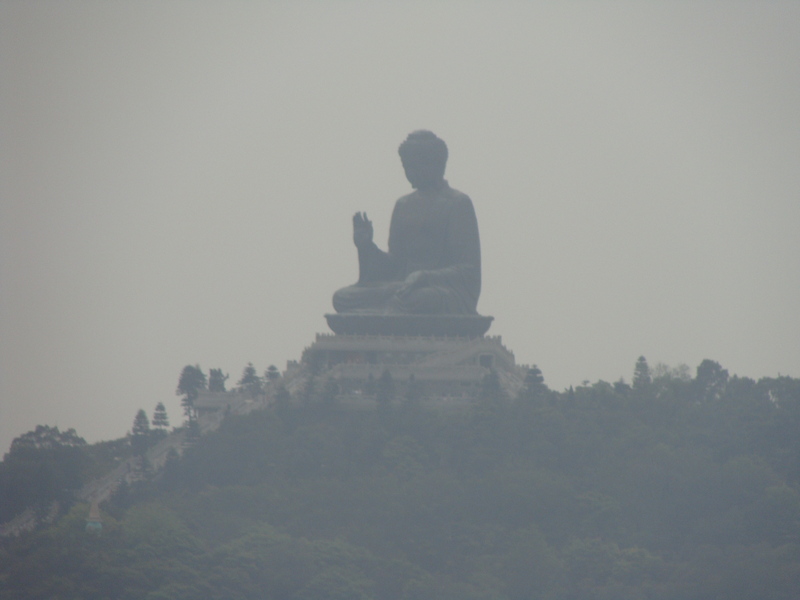 Shrouded in mists on a mountain top on Lantau Island sits the Tian Tian Buddha. The largest outdoor seated Buddha in the world exudes a sense of peaceful welcome, even while towering over the surrounding valleys and mountains. 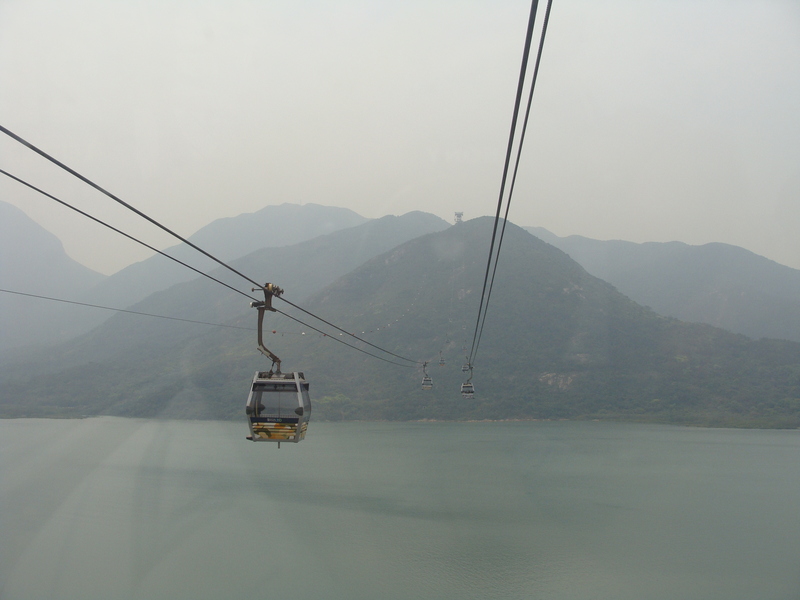 One of the ways to reach Ngong Ping Village and see the Tian Tian Buddha is to risk crossing Lantau Island in a cable car, a box of glass and metal suspended only be a series of cables gracefully arcing over water and land. The Ngong Ping cable car was not my first experience with a cable car. About a year previously we had ridden the Sandia Peak Tramway outside of Albuquerque. I read that it was one of the longest cable cars in the world, and was so excited to ride to the top of the mountain. I’m usually not that scared of heights. Flying in planes doesn’t bother me; hiking near steep mountain drop-offs doesn’t usually bother me. So, I was unprepared for the terror that I would feel as our cable car soared out over jagged rocks, slowly moving up the side of the Sandia Peak. While my then almost two year old exhilarated in the ride up the side of the mountain, I sat crouched down on the floor of the cable car trying not to envision the precariousness of a single cable holding up the cable car with a drop below onto jagged rocks that would almost certainly mean instant death if something went wrong. Meanwhile, my delighted little girl giggled and said, “Pick me up, mama! Pick me up!” So, I alternated between holding her up and cringing in terror. When I heard about the Ngong Ping Cable Car, I wanted to ride it. Why, you may ask? I think I’m addicted to new and unique experiences, especially if they are travel related. If it’s the longest, biggest, highest or most beautiful I want to give it a try. Terror settled in my stomach as I remembered riding the Sandia Peak Tramway, but how could I resist soaring over Lantau Island on my way to see the Tian Tian Buddha? Even if I was terrified the entire time? When I expressed concern about being scared, my sweet little girl smiled at me and said, “Don’t worry, Mama. I’ll help you and protect you.” At that point I knew that even if I was afraid, I would face my demons and ride that cable car. Especially when I could simultaneously teach my little girl about facing fears. And give her the chance to let her kind little heart shine in helping me overcome mine. The wait to ride the cable car was actually rather long. I think we stood in line for an hour and a half. That was somewhat unexpected, and the long wait made me more nervous. Finally, it was our turn to board. 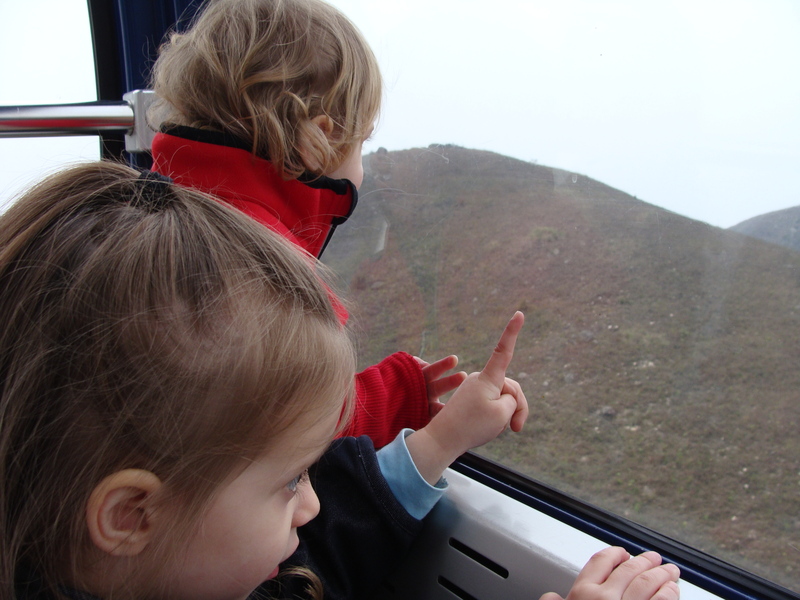 The Ngong Ping cable car sailed gently out of the station and out over the South China Sea. Maybe it was the bravery and kindness of my sweet little girl, maybe it was the more horizontal journey that reminded me of clouds blowing gently through the sky, or maybe the length of the ride gave me time to work through my fear, but the ride was actually very enjoyable. We passed over water and mountains. Ancient foot trails along the ridges of the mountains were visible below us. The water sparkled when the sun managed to peak out from behind the clouds. Our family had a relaxing (eventually) time together talking and singing as we sailed through the sky. I almost wish I had been brave enough to ride one of the cars with a glass bottom. If we ever go back, I think I’ll give it a try. Jet lag. Twelve hours of time difference. Exactly opposite of what we were used to. Adults have a hard enough time with jet lag. We can rationalize to ourselves why we feel so out of sync with our surroundings, and force ourselves to stay up as long as needed at our new destination in order to quickly acclimatize to our new destination. For a three year old and 18 month old, a rational explanation of why they need to either stay up or go to sleep NOW doesn’t work under normal bed time circumstances, let alone when day and night are so perfectly backwards to what they are used to. The first few nights in Hong Kong, our girls would wake up around 2 in the morning, wide awake. We would combat this by giving them a snack, some Benadryl, and let them watch one movie. After the movie they would go back to sleep until a more normal waking time. About the 3rd or 4th night we had gone to bed, and everyone woke up around 11pm. My husband was our late night food scavenger. On previous nights he would come back to the hotel bearing chocolate milk and Pocky. (We all loved Pocky after this trip.) On this particular night, he came back and asked if we all wanted to go to a steakhouse. Under normal circumstances, our restaurant of choice is more often a thai restaurant, or one that is very kid friendly, like California Pizza Kitchen. However, these were not normal circumstances, and isn’t that part of the fun of traveling? 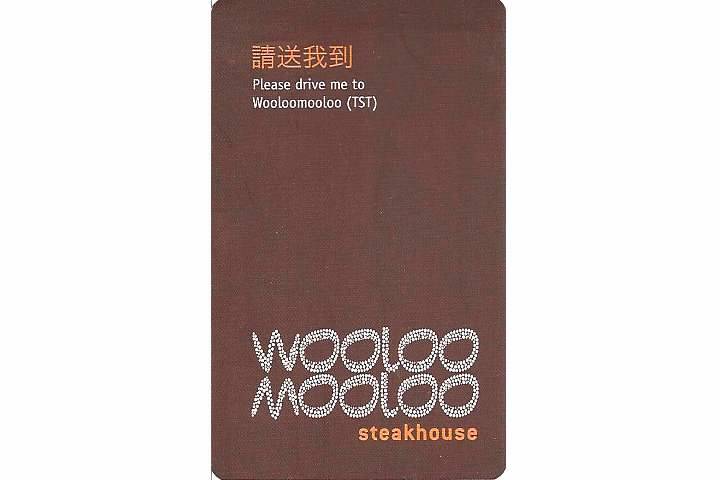 So, we set out with our two small children at 11:30pm to go to Wooloomooloo Steakhouse in Tsim Sha Tsui. When we arrived it was mostly empty. The staff was very accommodating and friendly, although surprised to see us at that late hour. They did look very confused when we asked for a high chair. They didn’t have any, and in British English, at least in Hong Kong, it is called a baby chair or baby seat. But the Chinese people in Hong Kong seemed to love children. The whole time we were there they would ask to hold them, or take pictures with them. One of our girls was very blond at the time, and they were somewhat awed by the color of her hair. A pile of cushions was brought over to the table for our children to sit on. By the time we ordered and our food arrived, which was very good, the restaurant was mostly empty. Besides our family, there was one group of Japanese businessmen who were drinking and dancing to the live band playing. The band members were all Chinese, and they were singing American songs. It seems like we hear American songs all over the world when we travel, even in very out of the way places. Picture the situation. Our very American family with two little girls at an Australian Steakhouse in Hong Kong in the middle of the night, with Japanese businessmen dancing to a Chinese cover band singing American songs. Do you know what made the surreal experience even more surreal? They started singing “Play That Funky Music”. Sometimes the most memorable travel experiences are hidden in the most mundane of tasks, like dealing with jet lag or feeding your family. I guess the trick is to be in the moment, and find enjoyment in the new and different. As the list of cities that I have visited grows, I become more and more interested in what sets each apart from the other. When we first land in a new city, we like to spend some time walking around and exploring, without too concrete of an itinerary set. 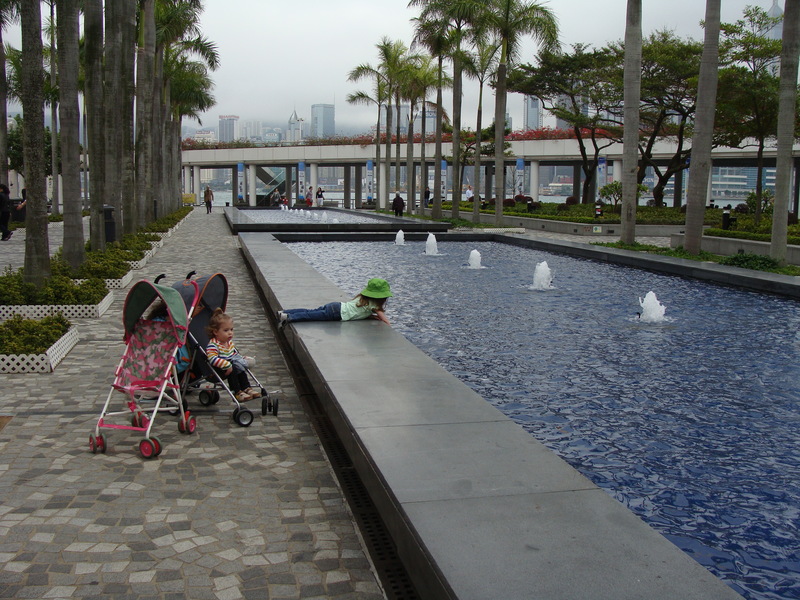 Our first few days in Hong Kong, we stayed in Kowloon, very close to Tsim Sha Tsui Promenade. As we walked out the front door, one of the first sites that met our eyes was a couple dressed in clothes from a bygone era. It was like they had stepped straight out of the 1930’s in a British colonial style. Of course we knew that Hong Kong had been owned by the British for over a hundred years. It had only recently been returned to the rule of China. But it was still interesting to see how the British and Chinese cultures meshed within the modern city of Hong Kong. 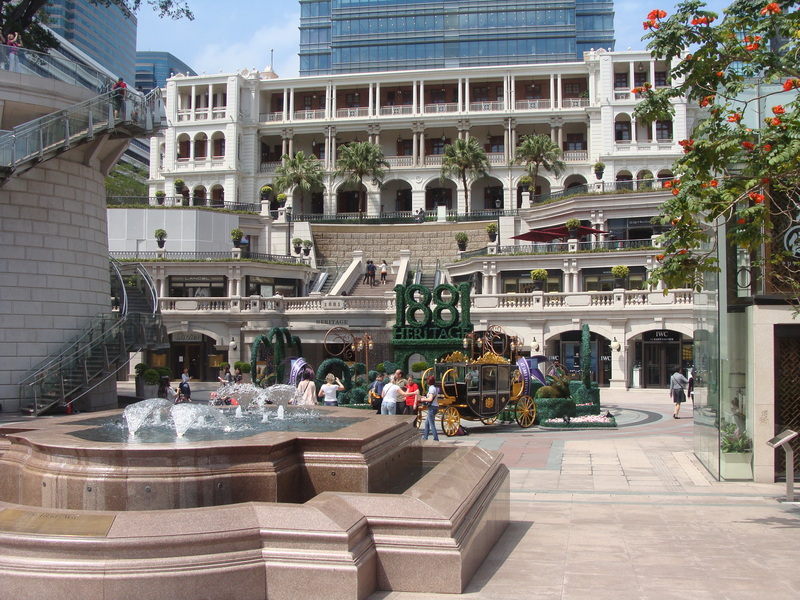 Our first morning wanderings brought us to one of the main shopping districts of Kowloon. At first glance it looked very similar to a street you might see in New York, or any other large fashionable city. There was one striking visual difference. The scaffolding was made of bamboo! 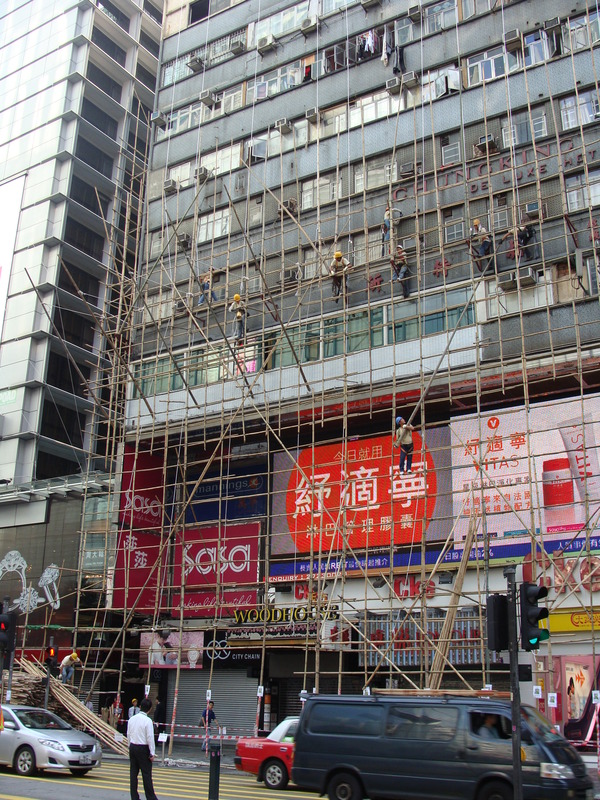 I decided the bamboo scaffolding is much more visually pleasing than the metal and blue walls that is used in New York. Building and renovating happen in cities all over the world. The small differences in details in universal activities like this are just so interesting. Another difference we noticed as we strolled along were number of jewelry stores, and how different the jewelry was. The gold was yellow, a much deeper and richer yellow than gold used in jewelry in the U.S. In China (and Hong Kong) they use 24k gold to make jewelry. It is a tradition that brides are given gold jewelry by their families when they marry. Their jewelry is one of the few items that traditionally they retained ownership over. The deep yellow of the gold is gorgeous and attention catching. The other jewelry that was really interesting was the pearl collections. So many different colors and sizes! While the pearl jewelry in Hong Kong didn’t quite rival that of Mikimoto (a Japanese jewelry designer), it was still far more varied and intricate than pearl jewelry in the United States. If you would like to see a sample of the gold jewelry from Chow Sang Sang, click here. To see a sample of the pearl jewelry click here. I love visiting the green public spaces in the middle of a towering urban metropolis. There is something really interesting to me about the juxtaposition of nature and concrete jungle. The layout of the park, its structures and plant life, as well as the people in the park, can give you a taste of the culture of an area. 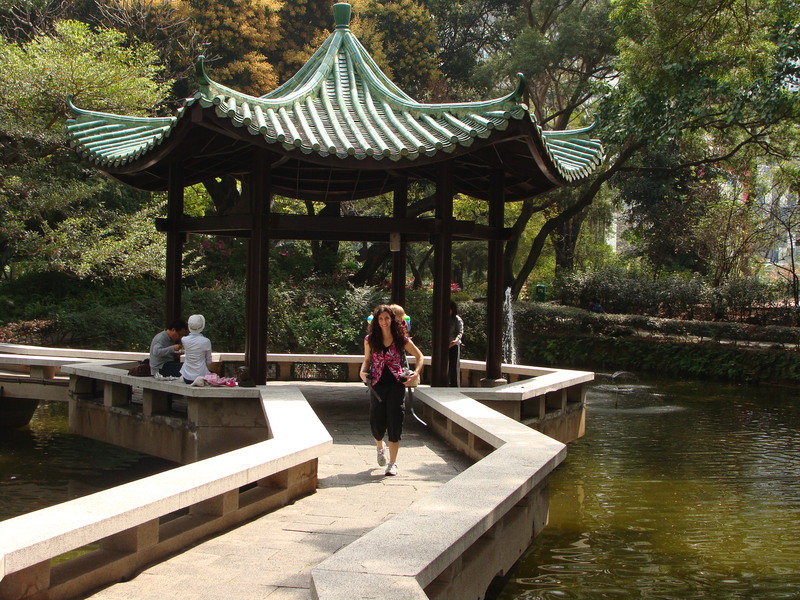 Kowloon Park was a beautiful green oasis, filled with quiet waterways, animals, and a playground that our kids loved. In Central Park you’ll find people doing yoga. In Seattle’s public spaces, you’ll possibly see Butoh or Capoeira. In Hong Kong, you see people practicing Tai Chi or martial arts. The Peninsula Hotel, an icon of British colonial culture in the midst of Hong Kong’s Kowloon, is located very close to the Star Ferry. This hotel oozes with the luxury of a bygone era, reminiscent of the height of British colonial power. You can go to the Peninsula and experience afternoon tea, in true British style. Although intrigued by the idea, we didn’t go to afternoon tea on this trip. Maybe next time! This is a part of Tsim Sha Tsui looking over Victoria Harbor into Central Hong Kong. I love these kind of relaxing moments when traveling with our children. No one can teach you to stop and enjoy the moment like small children, who find the joy in splashing in a fountain, gazing at reflections, or watching the ships moving across the water. The Star Ferry was a big hit with both of our girls. It is really a very short ride to cross Victoria Harbor from Kowloon to Central Hong Kong. I am more used to the ferries going to and from Seattle, which are much bigger and far longer crossings. The Star Ferry is about a 10 minute ride, but it gives you an excellent vantage point for taking in the skyline of Central Hong Kong and Kowloon. Plus, I just love the name. Who wouldn’t want to ride a Star Ferry?